You wouldn’t even know it was concrete! From a stone patio to a brick driveway, the look of stamped concrete replicates any style perfectly, with the long-lasting durability concrete brings. 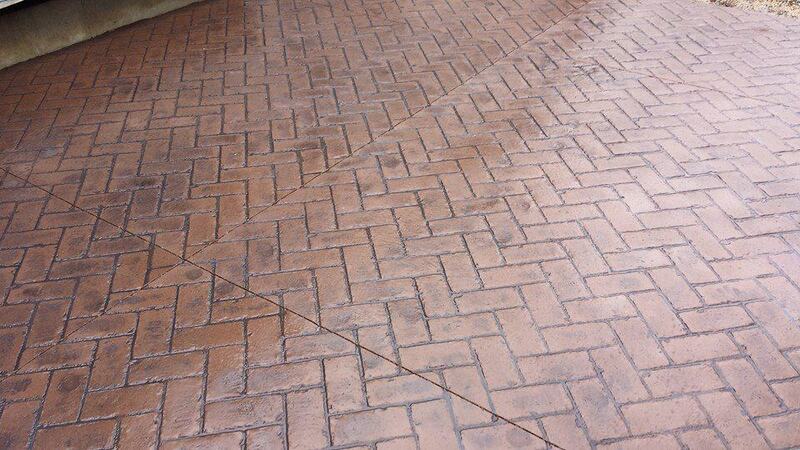 Stamped concrete can make an incredible difference to the appearance of your property. Homeowners and businesses are discovering the many benefits decorative and stamped concrete bring to their homes and commercial buildings. Known for its ability to replicate other favorite natural surface materials, such as slate, brick, wood, flagstone, and tile: Stamped Concrete’s an ideal option for improving the surface of driveways, pool decks, patios, walkways, entryways and even indoor concrete floors. Shamrock Concrete has over twelve years experience as a local, family owned business and our family has over 70 years of experience in the St. Louis Region working in the concrete industry, and stamped concrete is no exception. Visit our outdoor hardscape showroom, view our online photo gallery for inspiration or check out our interactive concrete project map to see our decorative & stamped concrete work near you! Get started today by scheduling your free stamped concrete design estimate online or Call us at 636-448-7277! 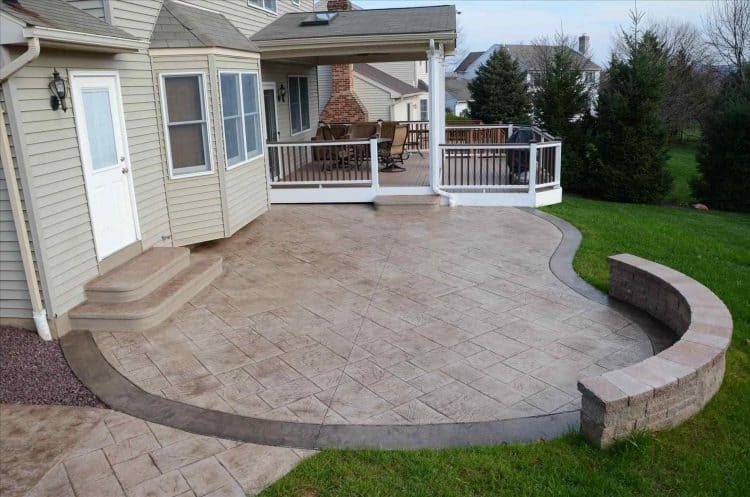 Decorative and stamped concrete patios are a perfect way to extend your living space outdoors so you can enjoy the beautiful St. Louis weather! 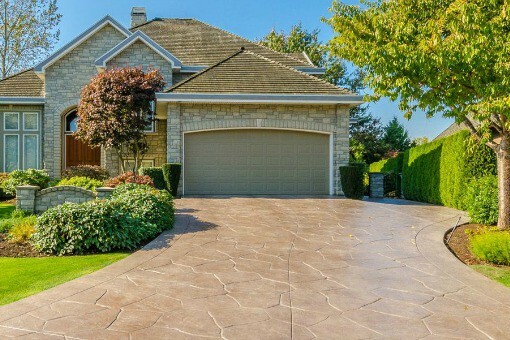 Stamped concrete driveways give homeowners the ability to create patterns in their driveway to emulate popular stone and brick materials cost-effectively. 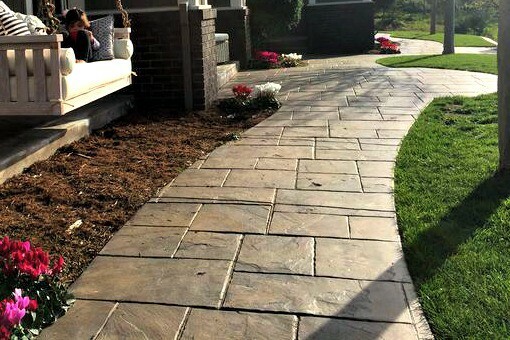 Stamped concrete walkways are an affordable way to transform your entrances and paths and bring out the best visual interest in your home’s surroundings.